As non-traditional media has grown, street style has grown and becoming as relevant as runway fashion. 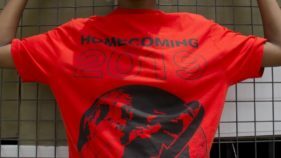 This is because street style predicts the runway trends we see and serves as a great litmus test for what high fashion offerings actually succeed off the runway. Street style is often a high fashion interpretation of cultures, e.g. Kimonos coming from Japenese fans of Rei Kwakubo and Commes des garcons. The fashion quote ‘Every day is a fashion show and the World is your Runway’ goes on to support this. Following some of the recent collections put out this season during fashion weeks, I couldn’t help but notice how some designer looks this season will make great statement street style looks. Now, I’m not saying you need to clear out your bank accounts to jump on all of these trends. Simply make the best of what you have in your wardrobe, step out looking uber stylish and leave heads turning. Most importantly, if you’re the handy type and not afraid to DIY some of these options, bravo! 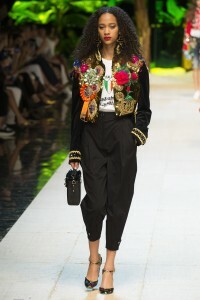 Applique: As seen from the Dolce & Gabbana show, this makes interesting pieces ranging from jackets to tops, pants, skirts and what have you. 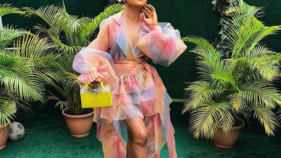 Color blocking: A trend which I’ve missed so much, which is gradually coming back and I’m glad to see that a number of designer brands including Bally and Bottega Veneta have in their own way picked on this. 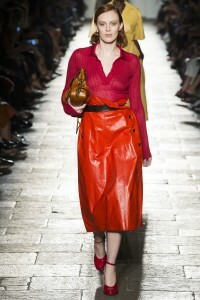 Retro: It gladdens my heart to see that retro inspired look on the runway, meaning that all fashion lovers who invest in thrift/retro/vintage shirts can still feel cool wearing their pieces without looking out of date. Who’s taking the runway to the streets?